“The Greek and Cypriot property markets ate perhaps the last to recover in the Eurozone. Combined with an abundance of capital at a global level it has sparked substantial interest from international investors”. 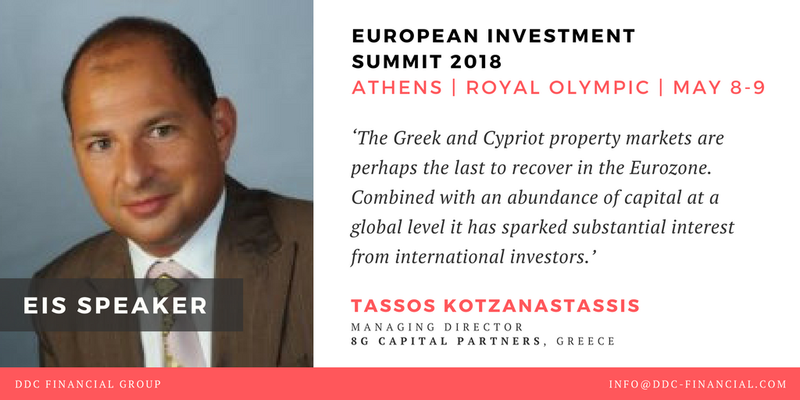 Pleased that Tassos Kotzanastassis moderated the Real Estate Landscape panel at the European Investment Summit on the 8th and 9th of May at the Royal Olympic in Athens. The Summit was organised by the DDC Financial Group.